Another Filipino will have a chance to get a world title. Rocky "The Road Warrior" Fuentes will face the undefeated champion and the no. 9 Pound for Pound boxer in the world Roman Gonzalez of Nicaragua. This fight is for the WBC World Flyweight Title. 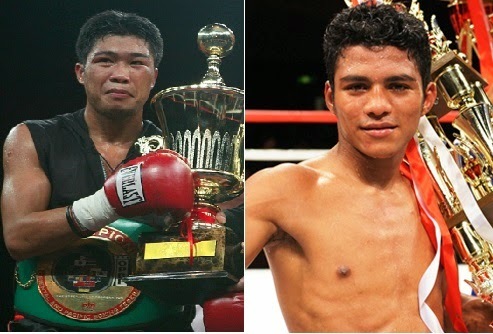 Rocky Fuentes with the record of 35W(20KO)-7L will try to get the WBC World Flyweight Title from the Chocolatito Roman Gonzales of Nicaragua. This is the most important fight of Rocky Fuentes in his career. The last fight of Rocky Fuentes was for the IBF World flyweight title, but he was defeated via unanimous decision by Amnat Ruenroeng of Thailand. Roman Gonzales the no. 9 P4P boxer in the world will try to defend his WBC World Flyweight Title. Roman is a knock out puncher, he has a record of 40 wins, no loses and 34 of his wins are coming by way KO. The last fight of Roman Gonzalez is against the Japanese Akira Yaegashi, He knocked out the Japanese fighter in round no. 9. Well in this fight looks Rocky Fuentes is an underdog. But still Rocky has a lot of chance, he just need to connect a big punch that will rock Roman Gonzalez. Rocky will only win if he can knockout Roman Gonzales.